This is a roll of electrical wire still in the factory wrap so it is brand new. It is Southwire brand made in the USA. It is copper wire 12-2 with a ground and type UF-B underground and 250 feet long. The package back is scuffed up a little. 3 rolls of 12-2 romex,2 rolls of 14-2,2 rolls of 12-3. $300. Text . 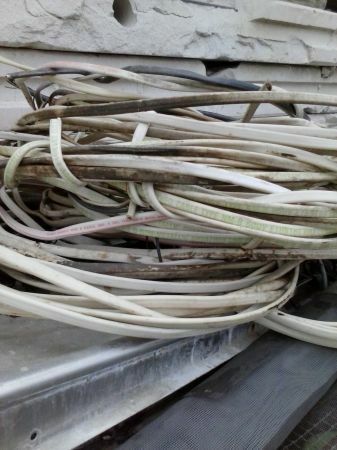 Have over 150 feet of 122 electrical wire for sale asking 40 for all 956 827 1899. Location 23 Nolana, Mca.